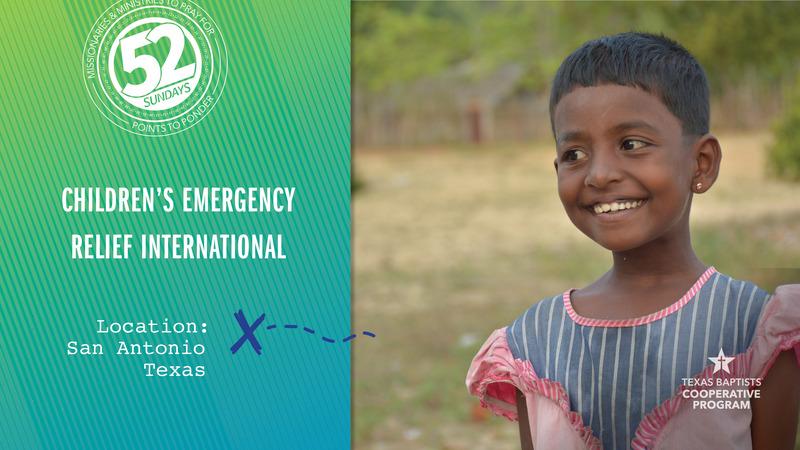 Children’s Emergency Relief International (CERI) knows that the best place for a child is in a loving family. But making sure that children are in families is a multifaceted undertaking. That is why CERI focuses its work on four pillars of ministry: children, family, community and system. CERI executes these ministries by supporting foster care, transitional living, anti-trafficking, trauma and loss recovery, and mission trips. They also work to educate communities and influence policies so that governments can make decisions that are in the best interest of the child. When our church gives through the Cooperative Program, funds help CERI educate national and community leaders about how to make systematic decisions that will help keep children in families and out of institutions. Please join us in prayer for CERI and those with whom they work to help orphan children around the world.